Imogen has appeared as a guest artist in many concerts in the UK, France and Australia and continues to perform throughout the UK and Europe. Her freelance work includes corporate entertainment and concerts, weddings and other large-scale celebrations, in both solo and small ensemble repertoire. Imogen’s repertoire ranges from early Baroque song and opera, classical Mozart arias and ensembles, through German, French, Spanish and English song, well known Italian and French operatic repertoire by composers such as Puccini, Bizet and Verdi to more recent folk and jazz collections. A selection of Imogen’s baroque and classical repertoire has been arranged for voice and strings, for example: soprano and string quartet, soprano and harp; soprano, mezzo soprano and violin. Born in Sydney, Australia, Imogen studied music at the Australian National University where she obtained a diploma and post graduate diploma in opera performance. 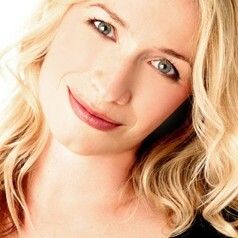 Since her professional debut as the Angel in the world première of Faust (Larry Sitsky) at the National Festival of Australian Theatre in 1996, Imogen has performed the roles of Tosca (Puccini), Countess Almaviva and Barberina in The Marriage of Figaro (Mozart), Trommler in Der Kaiser von Atlantis (Ullman), The Leader in Der Tsar lässt sich photografieren (Weill) , Susan in A Dinner Engagement (Berkeley), Geraldine in A Hand of Bridge (Barber), Helen in Hin und zurück (Hindemith), First Gossip in Angélique (Ibert) and understudied and played the role of Madame Giry in the UK national tour of The Phantom of the Opera. Imogen has sung with the London Philharmonic Orchestra at the Royal Albert Hall in a concert of popular arias and songs and is regularly invited to perform with the English Baroque Ensemble. Imogen has performed Schumann lieder for a live broadcast on ABC National FM and live via satellite from the Millenium Stadium, Cardiff, as one of six singers at the FA Cup Final 2002 to a global audience of 80 million people. Recently Imogen was featured as the vocal soloist in the live concert world première of Croatian pianist Maksim Mrvica filmed for broadcast and DVD by Carlton Television UK. Other concert performances include the Angel in Howard Blake’s Stabat Mater and soprano soloist with the Goldsmith’s Choral Union and orchestra in Handel’s Dixit Dominus and Haydn’s “Nelson” Mass.